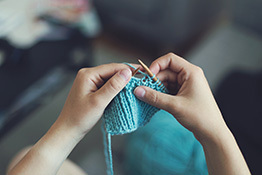 Learn to knit or crochet. Supplies provided. For all levels.